Today on Covefficient, outfielder Francisco Peguero. Frankie Pegs has been taunting Giants prospect mavens since his signing as an international free agent in 2005, at the tender age of 17. That bat speed! That athleticism! That gradually improving strikeout rate! THOSE TOOLS! Of course, the annals of every minor-league system are full of Toolsy Prospects who just could never put it together, and at the age of 25, Peguero is approaching his sell-by date. He’s retained that bat speed, and while he doesn’t have true home run power, the ability to get around on a major-league fastball is sometimes enough to distinguish a hitting prospect. Unfortunately, in a year that might’ve seen Peguero log some noticeable major-league time thanks to Pagan’s injury and the inconsistency of the Blorres platoon, a concussion and a shoulder bruise limited his playing time, and he ended up with only 30 MLB PAs to go with less than 300 in Fresno. Frankie didn’t look completely overmatched in the majors, swatting his first home run in the final game of the season (off a tough righty, even!) and limiting himself to two strikeouts with capable corner defense in his few chances. But he also displayed the limitations of how far tools can take you; most of his PAs resulted in groundout and he didn’t distinguish himself on the basepaths. In AAA, he had a .316 batting average but not much else, striking out four times as often as he walked and not posting any power numbers to speak of, a dangerous sign in the hitter-friendly Pacific Coast League. Verdict: As a right-handed hitter with the athleticism to fill in at center field, Peguero has an outside shot at filling the Giants’ 5th outfield spot in 2014; then again, he had the same shot in 2013 and lost it with a poor showing in spring training. (We’ll save discussion on the Giants’ tendency to evaluate players by their ST performances for some other time.) With Juan Perez as competition for the right-handed backup OF spot, Peguero could also end up as trade bait for a team hoping to capitalize on his tools. He turns 26 halfway through next season, and while he’s not over the hill yet, after eight professional season what you see with Frankie Pegs – high contact, reasonable defense, some stolen bases, and not much else – is probably what you’re going to get. Our Postseason Grades series continues as Reuben takes a look at up-and-coming shortstop Ehire Adrianza. 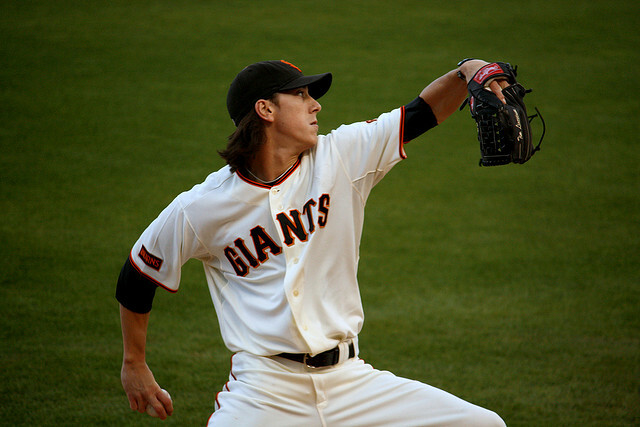 It’s kind of weird to think about, but for a while Adrianza was considered a better prospect than Brandon Crawford. 18 months younger and lacking anything resembling power, he nevertheless dogged Craw’s heels throughout the minors thanks to a much lower strikeout rate, impressive footspeed, and a glove generally perceived to be even better. His likely path to the majors is similar – hit just enough to not be a total embarrassment, and make up for it by hoovering every ground ball in his general zip code. Adrianza spent most of the year on Richmond’s AA squad doing a Manny Burriss impression at the plate. Upon promotion to Fresno, he posted numbers that, while strong even by the standards of the hitterish Pacific Coast League (Fangraphs grants him a 130 wRC+, or 30% better than the average PCL hitter), were inflated by a .391 BABIP and six triples* in 145 ABs. Either way, it was enough for a cup of coffee. 20 PAs and 45 defensive innings isn’t much to rate, but this play to nail Yasiel “Large Hadron Supercollider” Puig provided a good example of Adrianza’s defensive capabilities – great first step, good range, hellacious throwing arm. He also hit a dinger to ruin Andy Pettite’s last start in Yankee Stadium, so he’s got that going for him. Great defense, above-average speed, not much at the plate, fluky power in a hitter’s park – 9 games of Ehire Adrianza writ small. And hey, he’s already matched Burriss for career homers, so if you set that as a baseline his future looks bright. Verdict: Ehire made no great strides, but didn’t go backwards. His total lack of pop might condemn him to a future as a utility infielder in the Cliff Pennington mold; then again, in today’s ballgame, Zack Cosart and Alcides Escobar are starting shortstops for conceivable contenders. (Of course, so’s Pete Kozma). Only 24 to start the 2014 season, he should be back in Fresno trying to develop that “keep-pitchers-honest” kind of power and maybe honing his glovework at 2nd and 3rd if the Giants think he’s more likely to help the big club in a reserve role. San Jose’s Clayton Blackburn has been on a lot of fans’ radar recently. The 20-year-old righty, known for an overpowering curveball, was recently named the California League Pitcher of the Week. For Blackburn, a rough start to the second half has only lead to adjustments — ones that have helped him in his outings. His first start in the second half was at Stockton’s Banner Island Ballpark, a very hitter-friendly place, lasting only 3.2 innings and giving up eight runs, of which only six were earned. 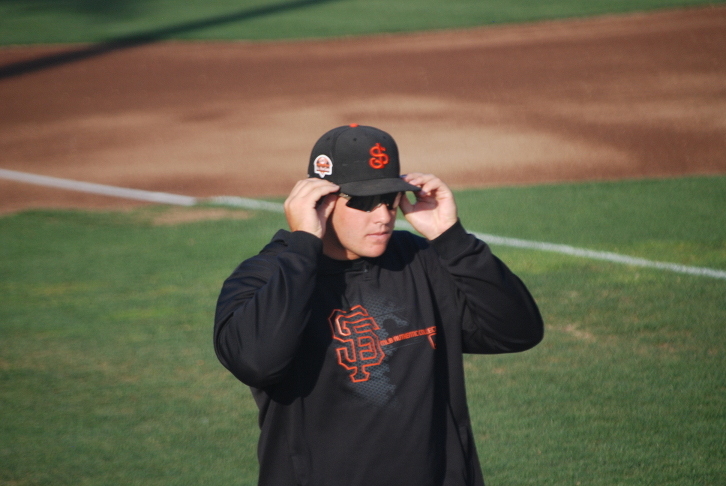 After working with San Jose’s pitching coach, Mike Couchee, Blackburn has been pitching at least six innings in his outings.